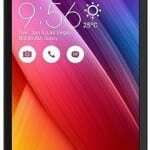 Budget smartphones have really been a tight category this year with a bunch decent devices from a number of OEMs. 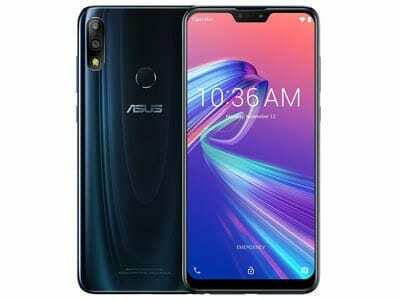 The ASUS Zenfone Max Pro (M2) is the follow up on the ASUS Zenfone Max Pro (M1) from earlier this year. However, things have only gotten better on the smartphone with more attractive features. There is the cut out notch, dual camera and a seemingly 3D glass build. You’ve also got the large battery on the smartphone keeping things running. No drastic change in the look of the smartphone is seen, just about the normal design but now a plastic casing. Nonetheless, the smartphone does have a glossy curved back with cameras arranged at the left side and fingerprint scanner to the middle. The sides of the screen are curved with a notch at the top of the screen. You can get the smartphone in blue and titanium. Also, the display size is big as usual same as most of the others in its league and the ASUS Zenfone Max Pro (M1) predecessor. Featuring a 2.5D curved screen, the smartphone sports a notch which is small in size than the average ones. You’ve got a 2280 x 1080 pixels resolution on an LCD screen panel. ASUS still very much sticks with the large battery from its predecessor and it is quite a big deal you don’t come by everyday. Sporting a 5, 000mAh battery, you can easily take thr smartphone for a spin all day and still have some battery power left. The Micro USB port is reinforced with fast charge to cut time on charging the big battery. Moving on to what is inside the smartphone, responsible for the performance and general speed of task execution. Moreso, the Qualcomm Snapdragon 660 processor is very much a decent mid-range SoC with assured ideal performance. Joining the team is Adreno 512 GPU as well as 32GB or either 64GB storage space inside. 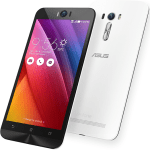 The former goes with 3GB RAM while the 4GB/6GB variant has the latter storage option. Expansion limit is set at 512GB with a memory card and you will also find the stock Android 8.1 Oreo on the phone.